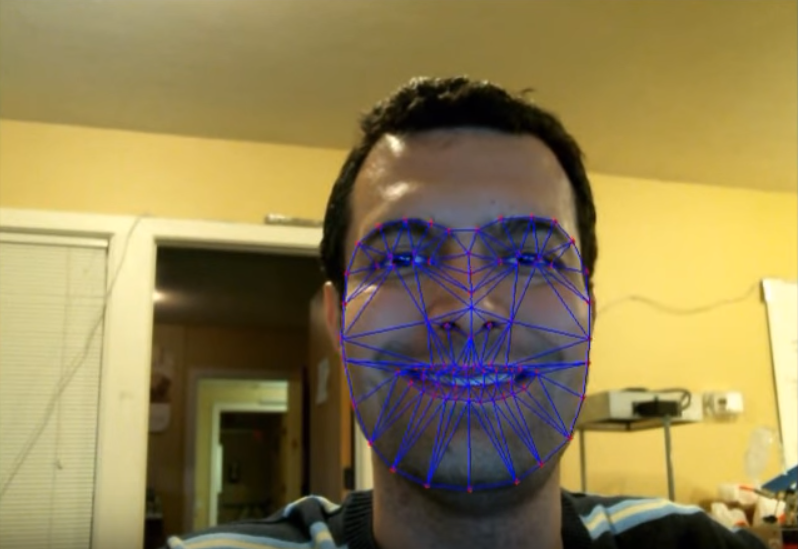 Facial feature extraction is an important step in face recognition and is defined as the process of locating specific regions, points, landmarks, or curves/contours in a given 2-D image or a 3-D range image. Active Shape Model (ASM) is a statistical approach for shape modeling and 2-D feature extraction using a parameterized statistical shape model obtained from a training set of manually labeled features. In my research work, I improved the ASM method for extraction of facial features. The core of the enhancement relies on incorporating color information to present the local structure of the feature points. In addition, I developed an algorithm for labeling facial features (i.e., the two corners of the eyes and the tip of the nose), in 3-D range images. Ali Mollahosseini and Mohammad H. Mahoor, “Bidirectional Warping of Active Appearance Model”, in IEEE CVPR workshop on Analysis and Modeling of Faces and Gestures, Portland, OR, June 2013.